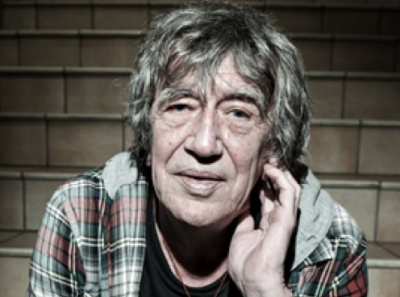 Howard Marks (AKA Mr. Nice) presided over one of the most notorious drug empires in recent generations. While petty dealers fretted over ounces and pounds, Howard oversaw a 30 tonne consignment of marijuana. Following his incarceration, he soon became a symbol of radical counter-culture, publishing a bestselling autobiography and inspiring a cult-classic movie. A strident supporter of free speech and drugs legalization, he’s made an indelible impact on our society, leading a life of great extremes. This is his story. Howard Marks (AKA Mr. Nice) presided over one of the most notorious drug empires in recent generations. While petty dealers fretted over ounces and pounds, Howard oversaw a 30 tonne consignment of marijuana. Following his incarceration, he soon became a symbol of radical counter-culture, publishing a bestselling autobiography and inspiring a cult-classic movie. A strident supporter of free speech and drugs legalization, he’s made an indelible impact on our society, leading a life of great extremes. As many of you may be aware, Howard has recently been diagnosed with terminal cancer and is making an incredible effort in traveling down to join us on the night; it’s with enormous pride and gratitude that we announce him as our Speaker X.